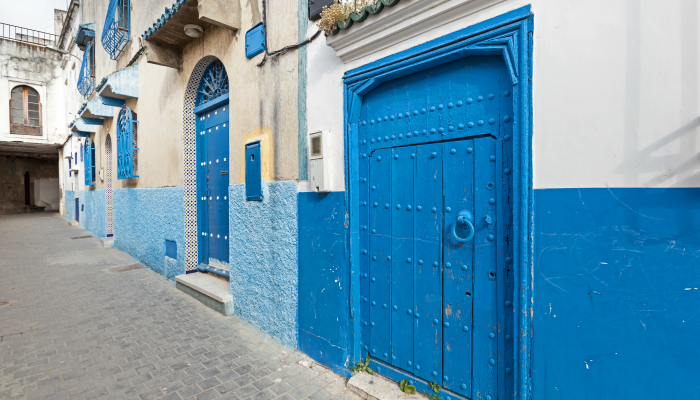 Often referred to as Europe’s ‘Gateway to Africa’, Tangier fuses together many different cultures and religions. Although a heavy Spanish influence remains the most prominent after many fled here to escape General Franco during the civil war. As a result, Jews, Muslims and Christians, Europeans, Arabs and Berbers all live together in harmony. Unlike other parts of Morocco, Tangier has a laidback and modern philosophy of life. And with a population of over one million, half of whom are aged 25 and under, it’s not difficult to understand why. Frequently overshadowed by the likes of Marrakech, Chefchaouen and Fez, Tangier sometimes doesn’t get the recognition it deserves. But, ask a local to show you around and you’ll soon see how much it has going for it. Believed to be the resting place of the Roman demi-god before completing his eleventh labour – the Caves of Hercules are legendary. Inhabited since prehistoric times, the caves were more recently used to carve olive oil millstones, the explanation behind the many round indentations in the rock. 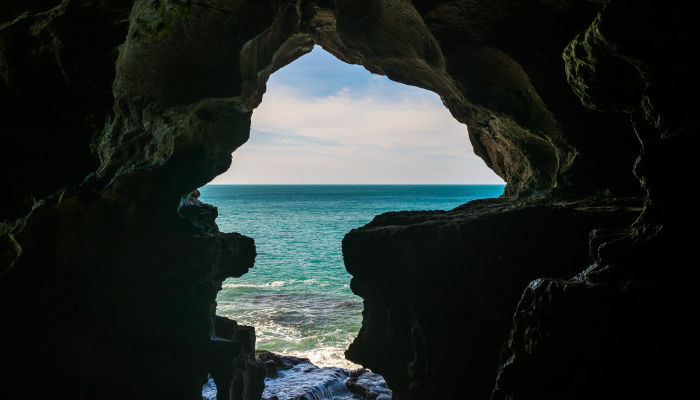 Naturally created by seawater eroding the limestone, the opening to the cave forms the shape of Africa and is the proud symbol of Tangier. Visiting the caves at sunset is particularly beautiful and offers the chance to capture spectacular photos. Sitting at around 1,000 feet above sea level, it’s easy to see where Cap Spartel gets its name (spartel meaning high in Greek). The cape marks joining point between the Mediterranean and Atlantic, and also guards the entrance to the Strait of Gibraltar. 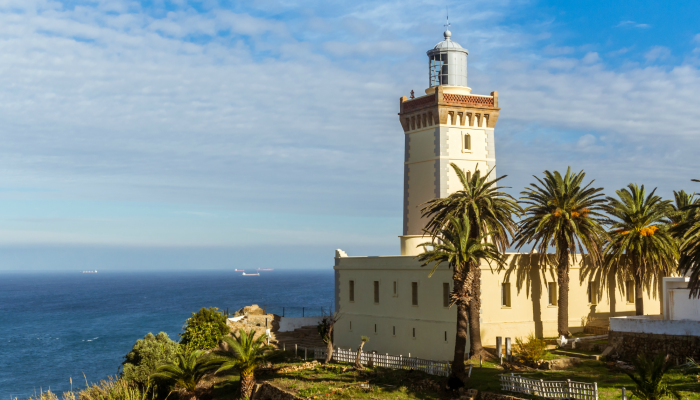 150 years ago, a Moroccan sultan built the white lighthouse here, which offers amazing views of the dramatic coastline stretching as far as the eye can see. The Greeks once called this headland the ‘Edge of the World’ and it’s thought to be a great place to make wishes. 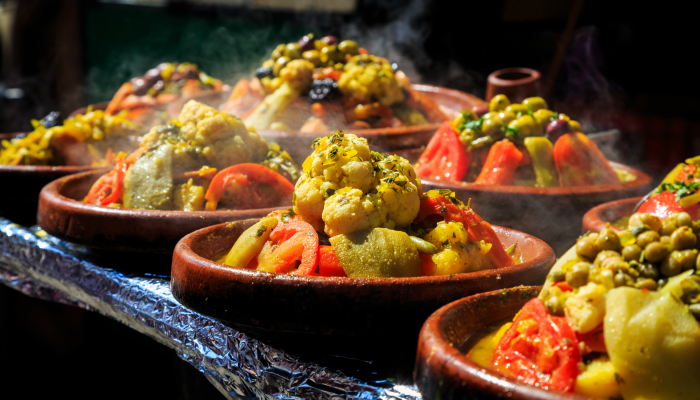 Known for its sumptuously spiced cuisine, be sure you try a taste of Morocco in Tangier. Begin with a piping hot bowl of harira, a hearty lentil and tomato soup. Then a few chicken shish kebabs; skewers of grilled, seasoned meat. Try a sweet-savoury pastilla, a filo pastry parcel filled with chicken, onions, almonds and saffron, and dusted with cinnamon and icing sugar. Tuck into a traditional tagine served in a painted ceramic pot, before finishing off with crumbly semolina cookies. 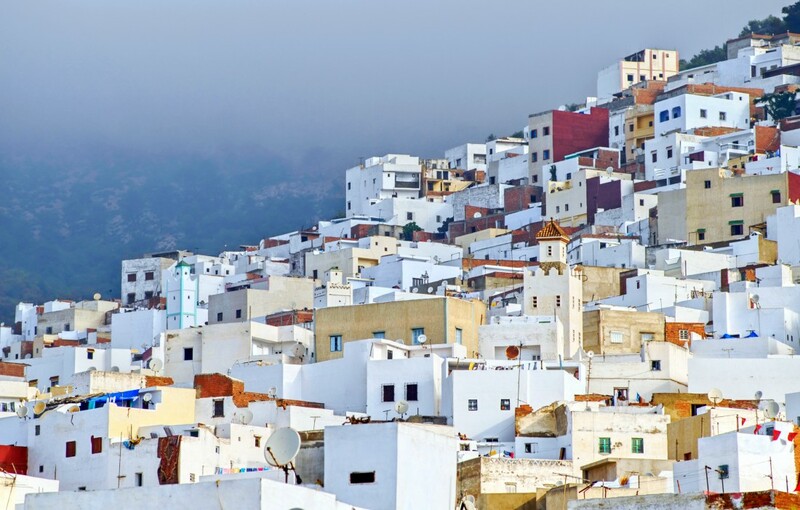 Tangier’s casbah is the oldest part of the city, built over 3,000 years ago it’s the whitewashed area that can be spotted from the new quarter. Originally a fortress, the walls of the casbah were the only thing left standing after the devastating Lisbon earthquake in 1755. 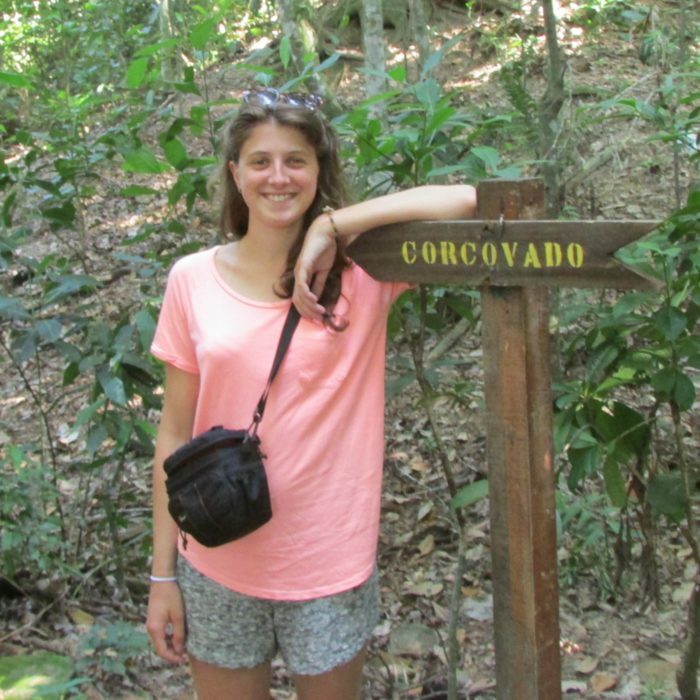 Nowadays it’s a charming residential area with cobbled streets, lined with houses boasting intricately decorated doors – it’s well worth spending an hour losing yourself in the labyrinth. You’ll also see that many of the doors are adorned with the Hand of Fatima, a figure of good luck and each of the fingers representing one of the five pillars of Islam. 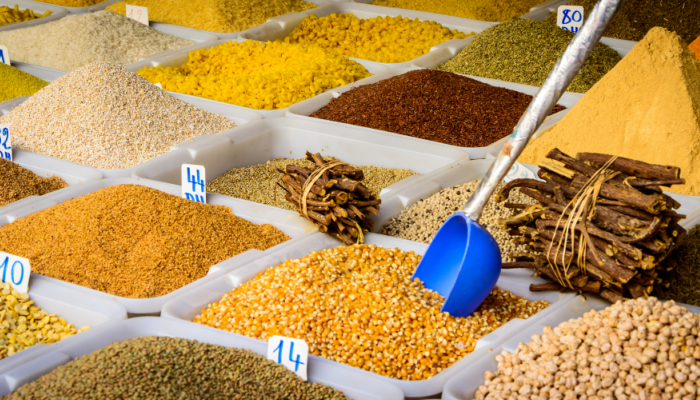 As many as 100,000 different spices are grown throughout Morocco. It’s also the birthplace of the well-known blend ras el hanout, North Africa’s answer to India’s garam masala. Created from a combination of 35 spices, Moroccan’s call it the spice for those who can’t cook. Aside from ras el hanout, saffron is another popular seasoning grown in this region. Labelled the ‘King of Spices’, it’s regal price-tag is down to its time-consuming cultivation process, where crocus filaments are handpicked. Keep an eye out for argan oil too. Made from the nut of the argan tree grown only in the Sahara Desert, this unique oil stimulates hair growth, reduces wrinkles and is good for the scalp. 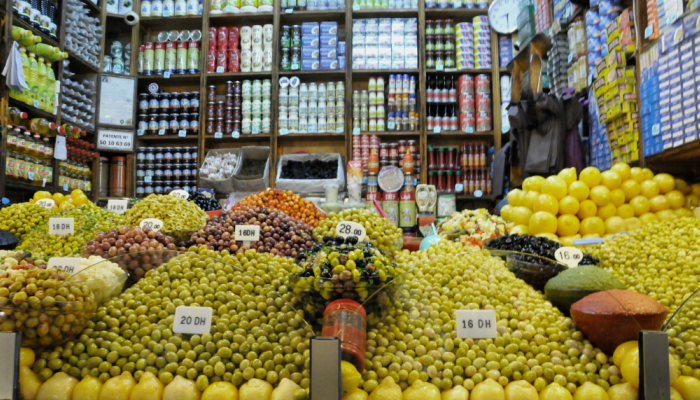 For a window into everyday life in Tangier, step into the main covered food market. You’ll become immediately immersed in its hustle and bustle as locals barter for their weekly grocery shop. Olives and dried fruits are piled high, the smell of fragrant fresh fruits wafts through the air and stalls selling cakes dripping with honey attract buzzing bees. Be aware that it’s pretty cramped inside. The space for produce takes priority and so you’ll need to navigate a series of narrow walkways. Liberating his people from European rule back in 1956, King Mohammed V is seen as something of a hero by the Moroccan people. The current ruler, his grandson, is also hugely popular. He’s actually the 26th descendant of this particular royal family, and they’re the second longest reigning monarchy after the Japanese. 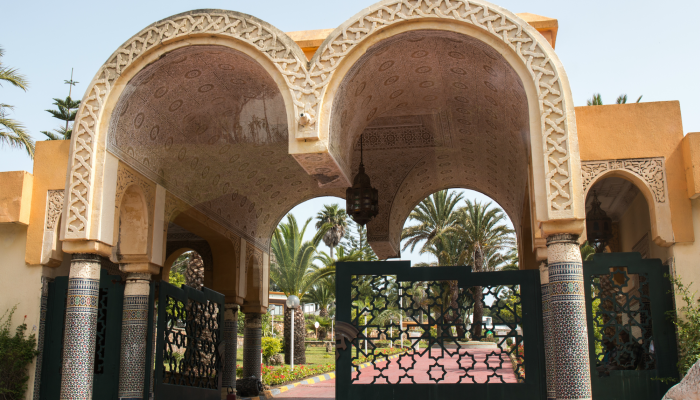 Tangier’s royal district is incredibly important as it’s home to the summer residence of the king as well as the governor’s house. You’re actively advised against photographing either of these buildings unless you fancy facing arrest from the soldiers patrolling outside. Given Tangier’s proximity to the continent, it isn’t really any wonder that it looks like a European city in places and in new Tangier in particular. However, there is a real mixture of architectural influences at play in this Moroccan spot, including art nouveau, neo-classical, art deco, Spanish and Moorish. 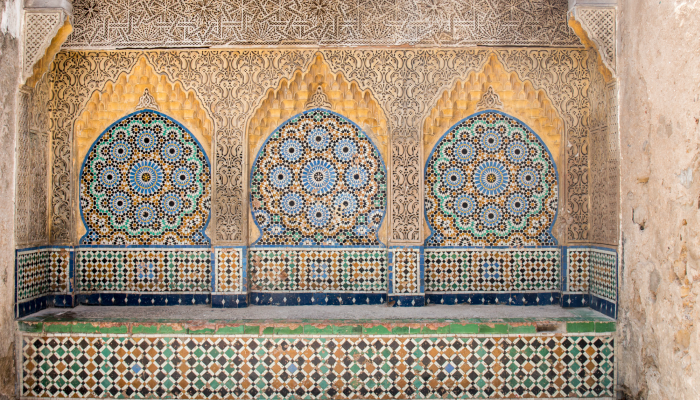 Remember to look out for instances of ornate Islamic-style tile work, like the iconic fountain found in the Old Medina. It’s no longer functioning but the carvings and colours make it well worth a visit. 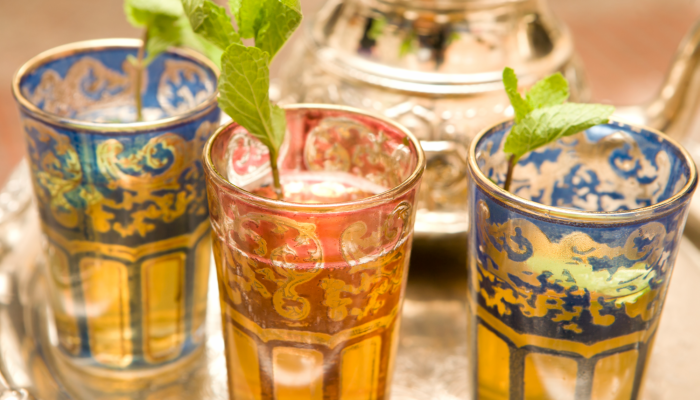 If there’s one thing Morocco’s celebrated for, it’s mint tea. Central to social life here, serving it to guests is the ultimate display of hospitality. Ingredients include green tea, such as strong gunpowder leaves from China, plenty of freshly picked spearmint, boiling water and sugar to taste. Once brewed the tea is poured from a great height into small, sometimes beautifully decorated, glasses. The higher you pour the tea the more important your guest is deemed to be; therefore, the king has official tea pourers who stand on ladders to pour the royal beverage. Morocco’s medinas are world famous and with good reason. Not only are there a stunning range of artisanal products to shop for, but the process of bargaining for them is great fun too. Compared to Marrakech, Tangier has a modest medina. 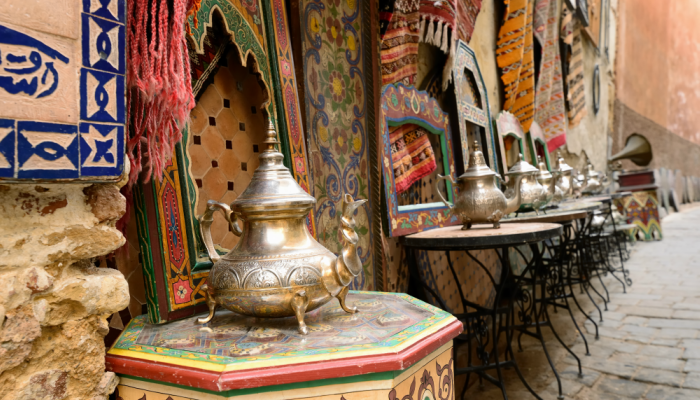 However, you’ll still find silver tea sets, elaborately woven rugs, beaded leather slippers, stained glass lanterns, traditional djellabas (or loose-fitting robes) and more for your perusal. Enjoy your own locally guided tour of Tangier on a Peregrine Adventure Cruise along the coasts of Spain, Portugal and Morocco. I'm a firm believer in the saying: "you'll always regret what you didn't do, not what you did". So, even after people told me I'd never get a job again if I left London to travel, I did it anyway. 29 countries later, and it will always be one of the best decisions I've ever made (corny maybe, but true). Life's short, the time to get out there and see the world is now!